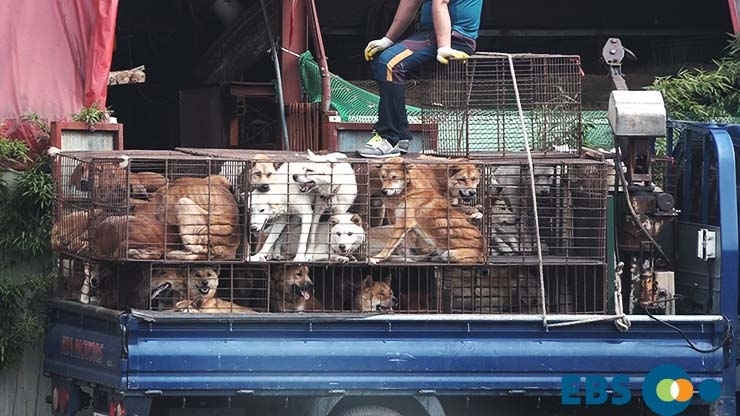 Mayor Matthew Marchant of Carrollton: Tell Sister City, Guri, South Korea, That We’re Opposed to the Torture and Consumption of Dogs and Cats. Guri became Sister city with Carrollton in 2010. Guri is one of the largest dog meat consumption areas in South Korea. There are countless dog slaughterhouses, markets and restaurants where the dogs, who are tortured their entire lives, end up being slaughtered in the most inhumane ways, such as by electrocution, hanging or beating; and then thrown into boiling water – sometimes while they are still alive. In many places, dogs are being killed in full view of other terrified, caged dogs; and this takes place in public and in broad daylight. In addition, many abandoned and stolen former pets end up in this industry, and are subjected to the same cruelty. 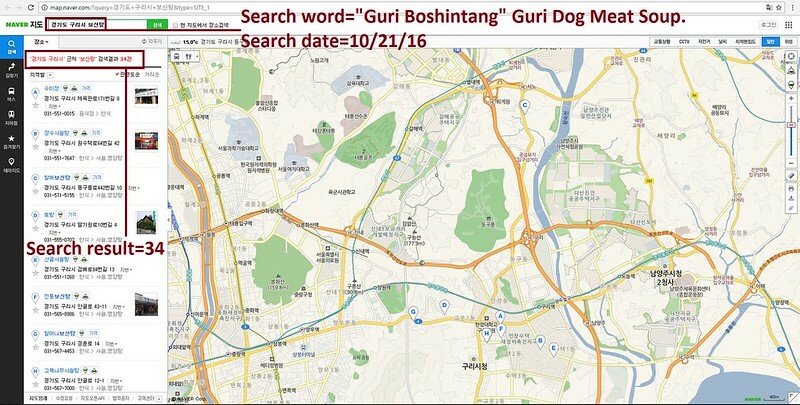 A Search Engine reveals the sickening scale of Guri’s dog meat demand. The searches resulted in: 83 Health Food Centers; and 34 restaurants in and around the city of Guri alone. Even if half of these ‘Health’ Food Centers and restaurants serve dog and cat ‘ingredients’ in one form or another, just imagine how many dog/cat slaughterhouses must be present in and around Guri in order to supply all of these outlets. The Mayor of Guri City aspirationally states that Guri striving to be a “world-class city”. His goal is for Guri to become the education and culture-oriented centre in the eastern part of Seoul and he describes it as an “environmentally friendly culture”. We are afraid that, once you peel back the gloss of this historical and culture-orientated city, there is none of that focus or aspiration when it comes to how this City and its residents treat the dogs and cats that live there too! How can a City which fails to tackle the brutal and medieval dog and cat meat trade in its own backyard be “world-class” or indeed “environmentally friendly!” The ambitions of this City and what it puts into practice are completely juxtaposed! Guri is host to dog and cat meat restaurants as well as farmers and butchers unconcerned with animal welfare, care for the environment or indeed, even the safety of their own customers when it comes to serving up cats and dogs for human consumption. If Guri truly wishes to meet its ambitions and to indeed become a “world class city” then it needs to take action NOW to stop the operation of the restaurants, butchers and farmers operating in the sickening, cruel and internationally condemned dog and cat meat trades. Help us to tell Guri what the meaning of “world class city” truly is, that is, one where the barbaric dog and cat meat trades are extinguished for good! Help us Tell Guri the world is watching! Please sign petition, call and email Carrollton Mayor Matthew Marchant TODAY! Guri is one of the largest dog meat consumption areas in South Korea. 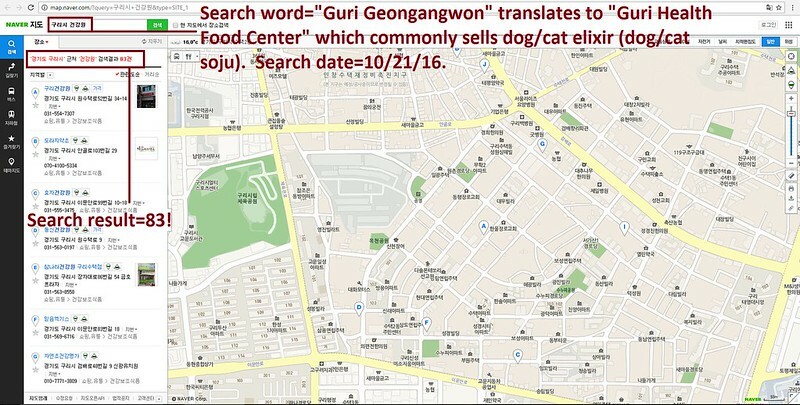 The Korean internet searches resulted in: 83 Health Food Centers which commonly sell dog/cat elixirs (also known as dog soju and cat soju); and 34 dog meat soup restaurants in and around the city of Guri alone. No matter where you live PLEASE SHARE these actions with your friends – especially those who live in Carrollton! Stop this messacre. These animals are to be lover and not for food. What kind of people are Koreans? CÓMO ES POSIBLE QUE NO SE DEN CUENTA DEL DETERIORO TAN GRAVE QUE NOS ESTÁ PASANDO, NO PUEDEN SEGUIR SIENDO INDIFERENTES ANTE ESTA BRUTALIDAD Y YA NO PODEMOS TOLERAR MÁS ESTA INFAMIA. TODA LA INDUSTRIA ES MACABRA Y SÓLO GENERA ODIO EN NUESTRAS SOCIEDADES. BOKNAL Y YULLIN PROMUEVEN LA VIOLENCIA Y NO TIENEN DERECHO A SEGUIR CON ESTA MATANZA. If you hoping to become a world class city, unless you abandon the heinous and backward dog and cat eating you have a long way to go.